There has been a lot of talk about the dangers of cell-phone radiation or the lack thereof. 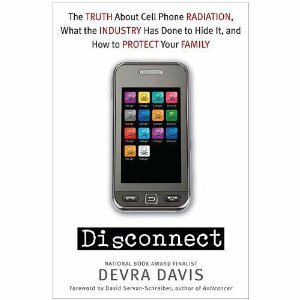 A new book, “Disconnect, the Truth about Cell Phone Radiation,” by Dr. Devra Davis, $27 from Penguin Publishing, warns us that cell phones may be deadly for children and are even dangerous for adults. Davis is an epidemiologist and a visiting professor at the Mount Sinai Medical Center in New York. A study of brain scans shows that cell phone radiation penetrates further into a child’s brain than an adult’s. In France, cell phones are banned for children under 12. Many children here, however, receive them as presents. Like smoking, the effects of radiation may take decades to show up, so it’s easy to dismiss the dangers. The author noted that Apple has a warning on its iPhone instructions that the phone should not be held closer to the body than 1.5 centimeters or about five-eighths of an inch. Most other cell phones come with a warning that you should not hold the phone closer than one inch from your body. People tend to ignore these warnings and hold the phone right next to their ear. Use a headset, earbuds or speaker phone. Or, use text messaging. Don’t wear it right next to your body.